Dr. Mâsse, PhD, is a Behavioural Scientist with expertise in psychometrics. 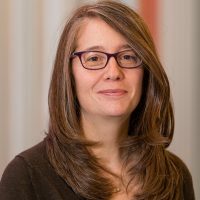 Her research integrates both population-based strategies (environmental and policies strategies) and behavioural strategies (individual-based psychological strategies) to address the complexity of factors associated with childhood obesity (Physical Activity (PA), sedentary, and dietary behaviours). Developing and evaluating gamified lifestyle modification interventions targeting children and their families. Understanding how transitional periods, specifically the transition from elementary to secondary schools, influence children’s PA, sedentary and dietary behaviours as well as weight outcomes. Improving measurement of nutrition and PA parenting practices as well as developing measures of playability. Awards: 2006-2011 Michael Smith Foundation for Health Research – Senior Scholar Award 2006-2021 BC Children’s Hospital Research Institute – Scientist Award. Click here to follow her publications.